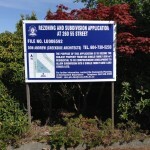 It is common to see development signs and rezoning signs in all Lower Mainland municipalities. 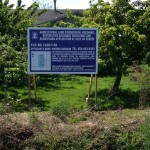 Typical dimensions for these signs are 4 x 8 feet and 4 x 6 feet. 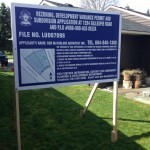 Development signage is required to inform the public of a potential development of a property or a change in the use of a property. 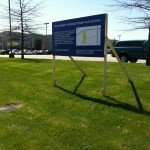 In the past, plywood was the most common material used for development signs. Plywood is durable, but there are also downsides to using this material. It is heavy and more expensive than using Coroplast for this type of signage. 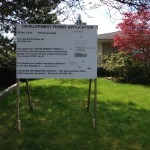 Today, it is common to see Coroplast development signs in all Lower Mainland municipalities. Simple Sign prints, installs, updates, and removes development signs in all local municipalities and we are very familiar with the sign requirements for each municipality. Additionally, we communicate directly the city planner, upon customer request, for the proofing process and to send installed sign photos. 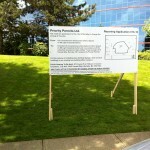 The materials used for the Coroplast development signs can easily be reused and recycled. 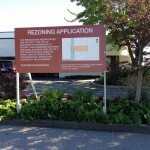 For this reason, Simple Sign always tries to include a free and optional sign removal service with development and rezoning sign orders. This helps save our customers the time and effort of disposing of their signs once they are no longer needed. Also, this helps Simple Sign to keep our signs out of landfills and reduce our company’s impact on the environment. Reducing our environmental footprint is one of Simple Sign’s top priorities and we appreciate our customer support in doing this. 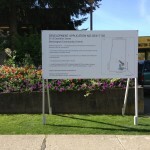 Each Lower Mainland municipality has specific requirements and guidelines for what information should be included on development signs and for sign placement. For more information on the development application process for Lower Mainland municipalities, click the following links: Vancouver, Burnaby, Delta, Richmond, Surrey. When is a development application needed? 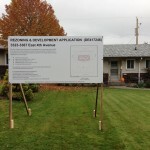 According to the city of Vancouver, development is “any change in the use of any land or building, or the carrying out of any construction, engineering or other operation in, on, over or under land, or land covered by water.” For more information on Vancouver’s development application process, click here. If you are ever unsure about whether or not a development application is required, contact your local municipality. This could avoid a huge headache in the long-run. There are various steps in the development application process. First, contact your municipality Enquiry Centre to check the zoning and relevant bylaws for your property. It is important that the bylaws are current. 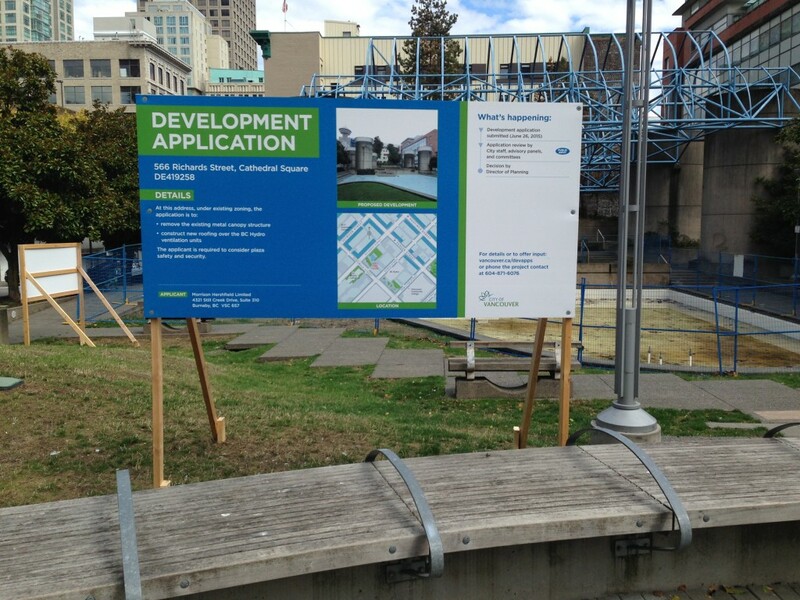 Next, meet with one of your city’s development planners. You can set up a pre-design conference to learn more about design guidelines and ensure that you are prepared for application. The next step is applying. Be sure to bring all the required documents and drawings with you. To avoid wasting time, check your municipality’s website for a list of application requirements. Along with applying for your development permit, you must pay your application fee. The fees are usually based on the floor area of the development, but they may vary depending on the application’s complexity. Once you have applied for your development, your application with be reviewed. The time for review can vary, depending on various factors. After your development application has been reviewed, your application may be approved, approved with conditions, or refused. If your application is approved, your will be required to co-ordinate with a sign company to design and install development signs or rezoning signs. That’s where Simple Sign comes in! 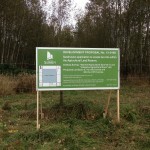 We will work with your city’s planners to be sure your sign displays the correct information. Our services include: graphic design and design proofing, sign construction, sign installation, and sign removal. From start to finish, we do all the work for you. This will make your signs’ ordering process streamlined, easy, and painless.